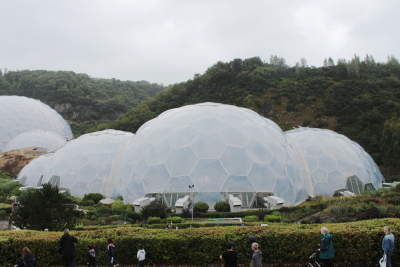 We visited the Eden Project on a very wet day during the summer holiday. It seamed like lots of other people had the same idea as it was really busy. The car park is a good distance from the main area with a shuttle bus to the entrance. There was quite a long wait for a bus, but then two arrived at the same time. There was then a long queue to buy tickets before we went into the main area. We travelled on the tractor train to the stage area where we built a den inside the stage tent before heading towards the Biomes. 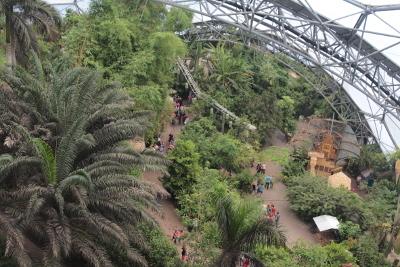 There are two indoor biomes, a rainforest biome and a Mediterranean biome. 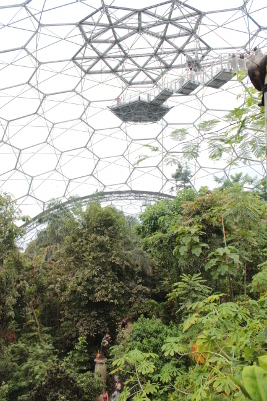 Inside the rainforest biome there is a high platform, suspended from the roof structure. There is only a small number of people allowed on the platform at a time with a long wait. I waited in the queuefor the high platform with my son, but my wife and daughter went for a drink instead. It was worth the wait as the view from the top was impressive. There are a variety of places to eat around the site. We had a gourmet burger, which was expensive but really nice, whilst out kids had a sandwich. We also had an Italian ice cream in the Mediterranean biome. There is a barefoot walk, not as good as some others we have been to, but reasonable. Whilst there were some buckets of water to wash with at the end there was no way of drying feet. Unfortunately when we visited the core building was closed (due to technical issues). Most of our time at the Eden Project was spent indoors, but we were able to walk around the outdoor areas during breaks in the rain. We went for the bus back to the car park when we'd finished. There was a wait for the buses, before we were able to get back to the car park. 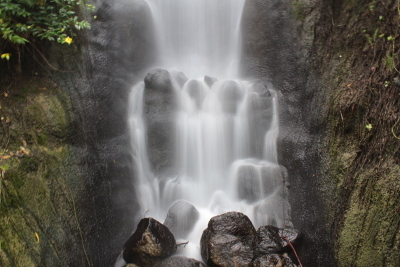 The Eden Project was a fun day out. There was lots to do and see for kids and adults. There was some queueing and waiting, although I believe this was exceptionally busy due to the bad weather during a school summer holiday.